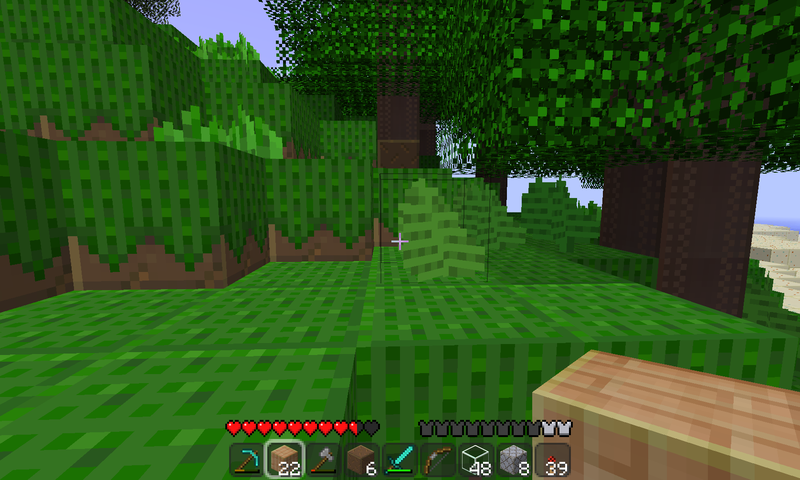 Minecraft Betas 1.6 introduced tall grass and ferns. It took me a while to make this release because I spent so long trying to find some ferns to look at. 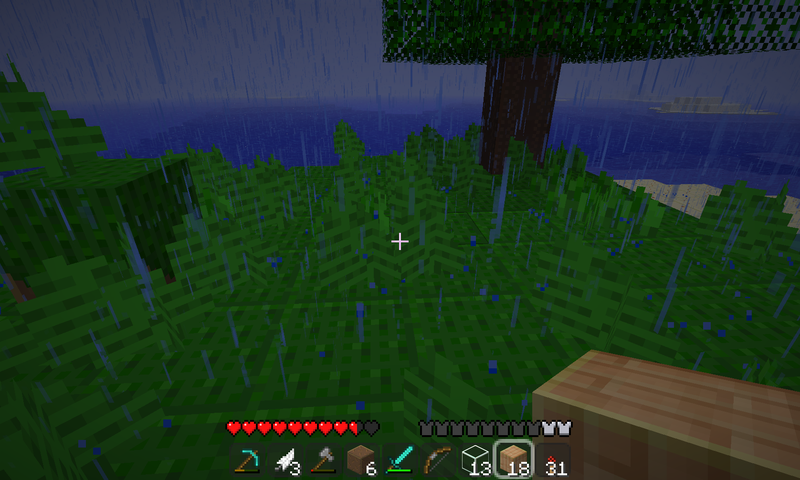 In the end I create a new world and got somewhat sidetracked making somewhere to live in it, as you do. 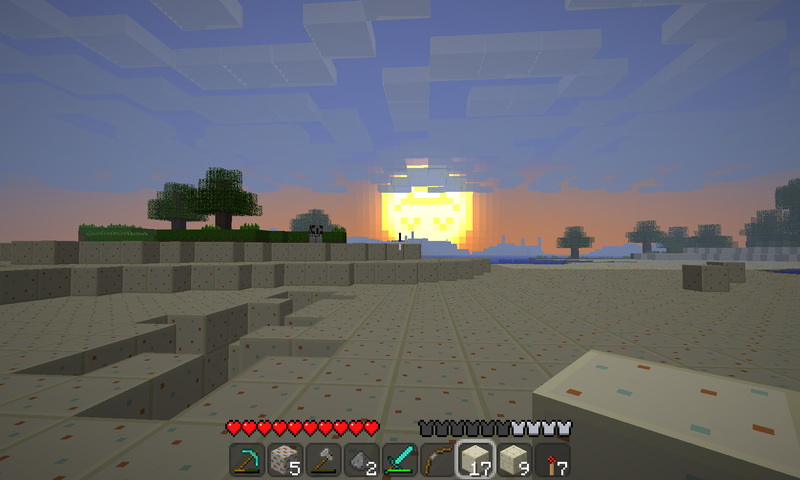 The new pack also has some experimental changes to the environment, in the form of sun, moon, and cloud textures. 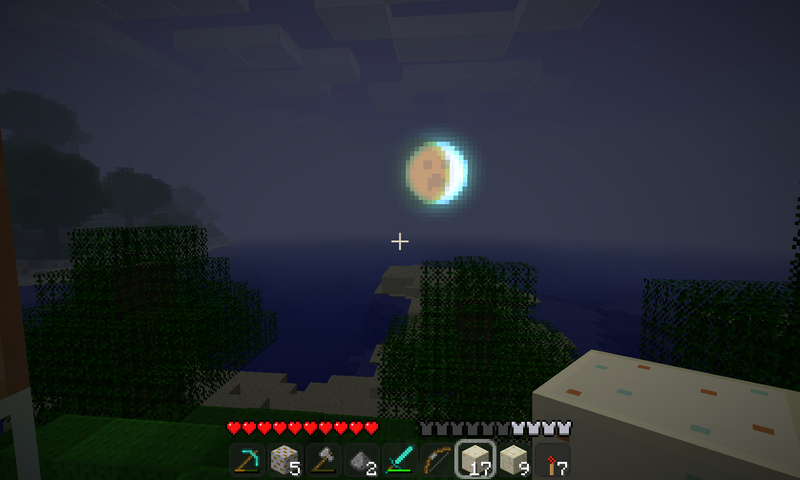 Having added a face to the moon and to the sun, I have naturally found that they are upside down at sunset or moonset. For now I am accepting this as a quirk, and will work out something more stylish to replace them with at some future date.